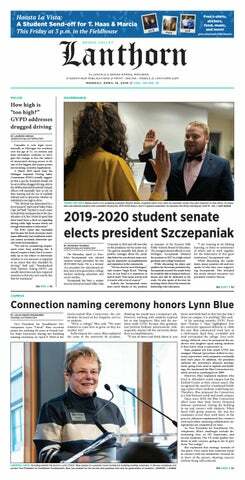 As the faculty adviser to two of Grand Valley State University’s student media outlets, GVTV and WCKS The Whale, I have been reading with great interest the Lanthorn coverage of the modifications to our funding that were executed by the GVSU student senate. I also appreciate the rebuttal from student senate President Maddie Cleghorn in Thursday’s issue. I would like to take issue with and (hopefully) clarify a few of the points raised. While I appreciate that the student senate budget process is, in Cleghorn’s words, “the most transparent since (her) time on the senate,” that does not in itself make it fully transparent or even acceptably so. Were the editors of the Lanthorn to proclaim “Our paper is the least incorrect that it has been in years,” I suspect that they would not be praised. The recent round of cuts to the student media budget was made without seeking input from those directly involved with the programs. I, for one, learned by reading in the newspaper that my stations’ operating budgets would be affected. No input was sought and no rationale given. If this is “more transparent,” then may we never go back to the way things were done before. Had the members of the senate budget committee asked what such a cut would mean in terms of serving the student population of GVSU, they would have learned this: the $5,000* cut from the media budget is more than either the student radio station or television station receive for operating costs for an entire year. Following this round of cuts, there is not enough money in the media budget to operate all three media in the manner students have been accustomed to. In other words, the senate effectively voted to kill GVTV without asking anyone if this was OK to do—a move that lies far outside of the purview of that body. Perhaps they do not realize that they have done this, but, again, they did not seek input from the leaders of the student media. All three of our student media provide news, information and entertainment that is unique to GVSU at no additional charge to students. Schools like Michigan State University and Western Michigan University exact a fee from students each semester to pay for their media. We do not, and as such depend on the university for this necessary funding. Our students could have explained all of this to the senate were they afforded the opportunity to do so. They were not. Reduction in media funding means more than a reduction in programming. It means a reduction in learning opportunities for our students. In my six years with radio and four with television, I have seen our students progress from beginners to working professionals, largely because of the skills and abilities they have gained through their work in student media. I also know of students who are drawn to GVSU specifically for these opportunities to gain experience in media that they will use in their careers. I fear the loss of prospective students who learn of these opportunities on every tour I hear go past the student media stations. In recent years, record participation in student senate elections involved only 12 percent of the student body—6 percent is more typical—but I hear no discussion of doing away with this expense. Student media have existed almost as long as GVSU itself, from radio’s beginning as a closed-circuit system in the basement of Seidman House in 1967. When we talk about Laker tradition, keeping students connected to their university community and informed is an important part of that tradition and should be preserved. It is my hope that, in the future, the student senate will strive to be as informed as it can be before it renders budget decisions. In previous articles, the Lanthorn has reported the student senate cut the student media fund for the 2016-17 year by $5,000, from $60,000 to $55,000. In the finance committee's Report on the State and Spending of the General Budget for Fiscal Year 2016, the student senate noted the current budget of the student media fund as $60,000, despite reporting that amount as $70,000 earlier in the same document. According to additional student senate documents, the correct current amount of the student media fund is $70,000, making the new total of the 2016-17 media fund $65,000. The student senate is aware of the error and is working on revising its original document. The Lanthorn regrets this error of fact.